Roo is bouncing borders with this take on a classic Chinese San Choy Bow. Give them something different that they a still comfortable with. Having a classic done just a little different is a great way to get your clientele to try something new. Splash one tablespoon of olive oil in to a hot wok, add kangaroo and fry until browned. Add KNORR Professional Garlic Puree, KNORR Professional Ginger Puree, KNORR Professional Mixed Chilli Puree and mushrooms, stir fry for 1 minute. Stir through KNORR Japanese Teriyaki Sauce GF. Turn heat off and sprinkle through remaining ingredients. 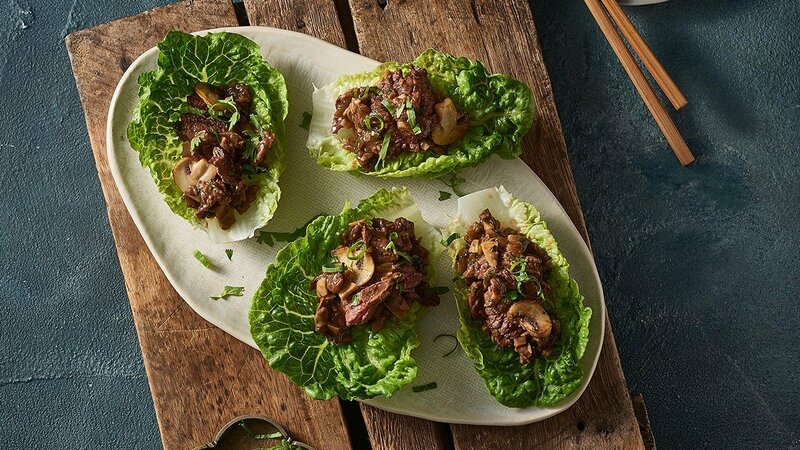 Serve in fresh, crisp iceberg lettuce cups and garnish.